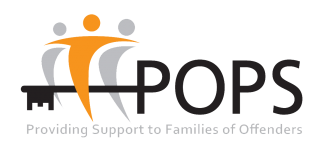 POPS have partnered with Greater Manchester Probation Trust since 2009 to provide integrated support for families of offenders subject to an Intensive Alternative to Custody order. The Intensive Alternative to Custody pilot was originally funded by the Ministry of Justice with the aim of establishing a credible and effective alternative to custody for offenders who would otherwise receive a prison sentence of less than 12 months. Seven pilot areas were established in England and Wales providing intensive community interventions that focused on punishment, reparation and rehabilitation. Greater Manchester Probation Trust were funded to work with 18 to 25 year old males who were resident in either Manchester or Salford. POPS deliver family support as part of a multi-agency team, including Greater Manchester Probation Trust, G4S, Work Solutions, and Manchester Senior Attendance Centre. POPS work with a family member or friend identified by the offender as a ‘key supporter’ in order to ensure they are kept well informed and involve them in supporting the offender to engage positively with the order and maintain compliance. Issues that affect the whole family can be identified and work done to resolve these. This in turn helps to build better relationships between the offenders and their family which can help to reduce the potential for recidivism. In addition an offender may gain insight into the effects of their behaviour on their family which can often be a motivator for change. Families are provided with support and signposted to relevant services within their own communities with the aim of strengthening the family unit. POPS recognises the importance of referring families to local agencies who can assist families in building local support networks to address their needs. 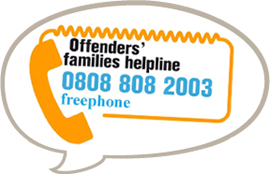 For many families the challenges that they face supporting an offender are complex and can be difficult. Through the emotional support, information and advice POPS is able to provide to families we encourage them to become active participants in finding their own solutions. Read more about the success of the Intensive Alternative to Custody order on Greater Manchester Probation Trust’s website.